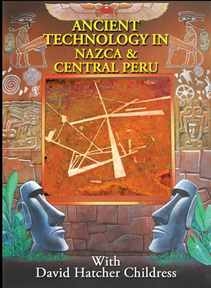 In this fifth installment in the Ancient Technology series, join David as he heads down the Pan American Highway from Lima to Ica and Nazca. In Ica he investigates the huge elongated skulls discovered in the area, and then investigates the strange museum of Dr. Cabrera and its stones depicting dinosaurs and humans. Then the team flies over the Nazca figures in order to grasp their amazing complexity. Were they meant to be seen only from the air by the sky people? The team then journeys to Cuzco in central Peru and visit the megalithic sites of Ollantaytambo, Machu Picchu and Sacsayhuaman, including a special examination of megalithic rock quarry near the Inca Trail. Extra features.